As everyone who lives here can tell you, North Carolina is one of the true gems of the American South, with our gorgeous coastlines, and our unique culture that makes us an unmatched place to live. Whether you were born here, or just moved to Charlotte, NC you likely want to embrace all the things that make North Carolina a fantastic place to live. One way to do that is by bringing all the fabulous aspects of Southern architecture and interior design into your home. Not sure how to do that? 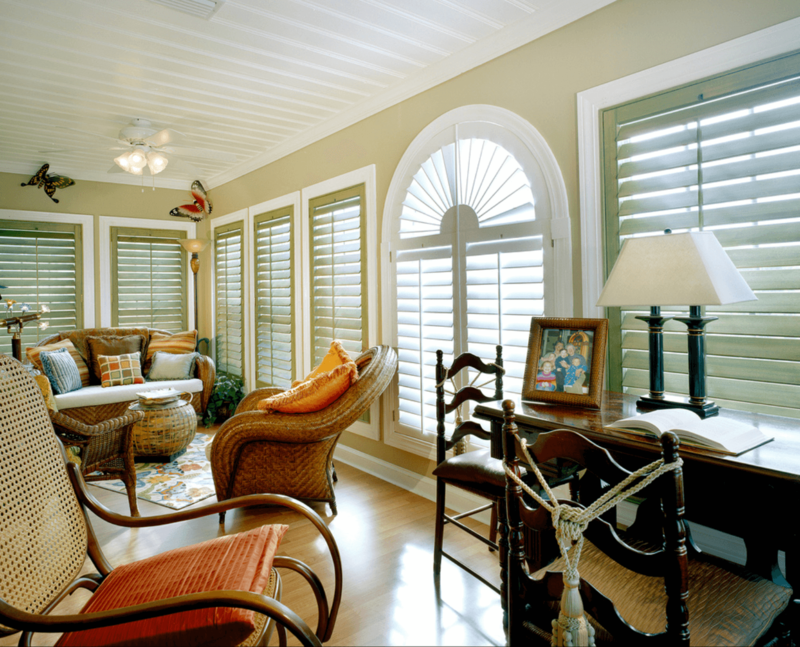 Then let A Shade Above Window Fashions tell you about choosing custom wood shutters for homes in Charlotte, NC. Take a walk through the historic neighborhoods of Charlotte, NC and you will likely see many examples of bona fide antebellum architecture, as well as more modern homes that were inspired by the style. One feature can be added to virtually any home: wooden plantation shutters. From a turn-of-the-century style home to a transitional or modern home, wood shutters allow you to embrace effective light control. Not only is natural wood unmatched in beauty, but there is also a reason why most of your heirloom furniture is wood: real wood stands the test of time in a way no imitators can Your custom interior shutters will make your home beautiful for years to come. Why choose Artisan Plantation Shutters? Here at A Shade Above Window Fashions, we partner with Artisan Shutter to supply our customers with gorgeous, custom wood shutters. If you are wanting to bring Southern beauty and charm into your home, why settle for something that was made in China, or sold at the home-improvement store down the street? Artisan Shutter is a family-owned business, based out of the Carolinas and constructed for customers in the Carolinas, so your plantation shutters will have true Southern flair in addition to beauty and durability. When you choose custom wood shutters from us, we will cover every aspect of the process, from consulting with you to find the right shutter, to measuring and installing the final product in your home. Here at A Shade Above Window Fashions, we truly believe in the unmatched beauty of Southern design, and we want to help you achieve that in the best way we know how: with your windows. To get started, contact A Shade Above Window Fashions today to learn more. We now have four convenient locations: two showrooms in Charlotte, NC; one showroom in Cornelius, NC; and one showroom in North Myrtle Beach, SC. We also proudly serve the greater Charlotte area and beyond.